History has a habit of repeating itself. Earlier this year rally enthusiasts got a helping of déjà vu when they read the headline 'Rally of Wales Cancelled by Entry Shortfall'. Only 10 years before, the Welsh International Rally had foundered on the same financial rock. There is always confusion about the title of events incorporating the words 'Welsh', 'Wales' and 'Rally', since at any given time there seem to have been at least two of them in existence. Currently we have the Wales Rally GB, which is the latest guise adopted by the United Kingdom's contribution to the World Rally Championship. And we have the aforementioned Rally of Wales, which rose from national status to take the place in the British Rally Championship of the original Welsh International Rally. It is the latter, however, that this article concerns. 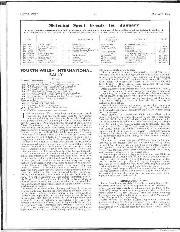 The South Wales Automobile Club (SWAC) ran its first event in 1936, with starting points in places as far away as Buxton and Newcastle, all converging on Cardiff After the war the event was revived and, in 1961, the 13th in the series was a successful night rally held in early January. The weather was Arctic and many people got stuck, including Pat Moss, who was with Stuart Turner in an Austin Healey Sprite. Another Healey — a 'Big' one crewed by Alec Griffiths and David Stone — won the event. This event was typical of British rallies of the time — tight navigational night sections, with the occasional special stage. Stage rallying was just beginning in Britain and SWAC was not slow to realise that it had some of the best special stages in the country. The idea grew to make the Welsh Rally into something bigger, with more to offer competitors making the transition from pure road rallying to special stages. The instigator of this was Bryn Davies, who became Clerk of the Course for the 1963 event, scheduled to be the first Welsh International Rally. Sadly, it was cancelled thanks to the arrival of some serious winter weather. However, the 1964 event, also in January, stuck pretty much to the '63 plan. A start at Loton Park used the hill-climb as a stage, and then it was off into Wales for two nights and a day for the 99 starters. There were plenty of stages with names that are now familiar, such as Dovey and Crychan, but it was in fog in central Wales that the winner emerged, Barrie 'Whizzo' Williams in his Mini Cooper S.
As an international, the Welsh was held too close to the Monte Carlo to attract entries from outside the UK, but it was an instant hit with British competitors. They had got a proper two-day rally, with proper special stages on decent roads, for the princely sum of £8 8s 0d. And because it was continuous from the evening of January 3 to the morning ofJanuary 5, they'd only had to take half a day off work. Its popularity could only rise. A year later the start moved to Cardiff and the number of stages increased. To make it more attractive to foreigners and works teams, the event switched to December (leaving the slight confusion of there being two Welsh Internationals in 1965). The ploy worked and the first true works cars turned up for the second event. 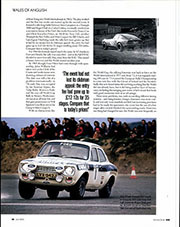 It featured a rally-long battle between Simo Lampinen in a Triumph 2000 and Roger Clark in a Lotus Cortina, eventually resolved on a recount in favour of the Ford. But works Rovers for Toney Cox and Chris Knowles-Fitton, an MGB for Tony Fall, another Triumph for Roy Filler, and Mini Coopers for Bill Fritschy and Lars-Ingvar Ytterbring made the rally feel more grown up. But it had by no means lost its clubman appeal: the entry fee had gone up to £12 12s 0d for 35 stages totalling some 250 miles. Compare that to today's prices! For 1966 the formula stayed much the same. In '67, thanks to Foot and Mouth, the rally was cancelled — and in the lull SWAC decided to move it to early May, away from the RAC. This caused a hiatus, however, and the Welsh missed another year. By 1969, though, Fram Filters had come through with sponsorship, John Williams had taken over as the Clerk of the Course and works teams were showing enhanced interest. The date was still a bit of a problem internationally: in '70, early May was occupied by the Austrian Alpine, the Tulip Rally, Morocco Rally and the one-off World Cup Rally to Mexico. Works interest was at an all-time low and that gave prominence to Will Sparrow's excellent win in his Group 6 Mini Cooper S.
With no distractions like the World Cup, the rallying fraternity was back in force on the Welsh International in 1971 and, from '72, it was regularly starting 240 cars. In '73 it joined the European Rally Championship to come into line with the Circuit of Ireland and the Scottish. Sadly, this new-found status did not bring anything that the Welsh did not already have, but it did bring another layer of bureaucracy, including discouraging pace notes, which meant that locals with good memories were at an advantage. There were problems, too, with reconciling different timing systems — and rising forestry charges. 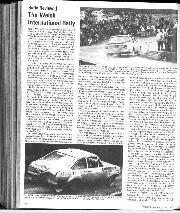 Insurance was more costly and not only were marshals needed, but increasing provision had to be made for spectators; the event lost the use of a few stages after crowds blocked the surrounding roads. 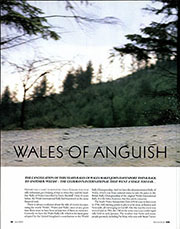 However, one thing had changed for sure: the Welsh was now frequently a dry event and, ironically, often ran under the threat of having stages cancelled because of fire risks. The Welsh International was at its peak in the late 1970s. 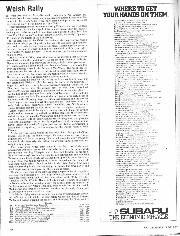 It changed its format to include a modest night halt in Aberystwyth that still kept costs to a minimum for the clubman; and at the front end it was attracting top names. International stars such as Stig Blomqvist, Markku Alén, Lampinen, Jean-Pierre Nicolas and Walter Röhrl were joining British aces Tony Pond, Malcolm Wilson, Russell Brookes and Jimmy McRae in visiting Cardiff in the first week of May. 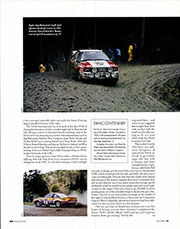 This trend was aided by the event's membership of the new British Open Rally Championship, as SWAC washed its hands of the ERC. Then its major sponsor, Fram Filters, took a sabbatical from rallying. But with help from local companies SWAC met its obligations until 1981. 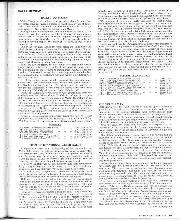 As a limited company it had multiple responsibilities, and when it was suggested that it might share these with another club, the result was the rally running in '81 as a joint effort with the Welsh Counties Car Club. That worked, but for 1982 there was sufficient divergence of opinion for SWAC to decide to go it alone again, this time with a cheaper and more compact format. A gentleman called John Bell was put in charge and he moved the event up to Llandrindod Wells, which would provide the start and finish; the idea was to cram everything into 24 hours. 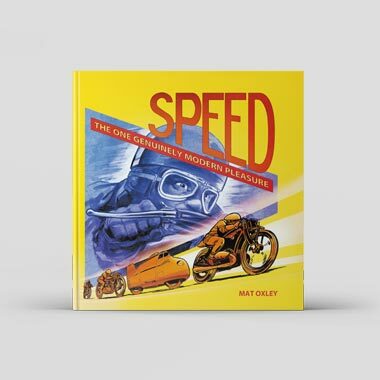 But when the works crews arrived and were given the route to organise their service schedules, they saw at once that the way it was timed meant that average speeds of 50mph would be needed on the public roads and much higher ones on the stages. With only hours to go, Mr Bell set about pruning time out of the scheduled stops to slacken the pace elsewhere. This led to one memorable exchange in the middle of the night at Machynlleth between a driver and the Competitor Liaison Officer. Originally, almost two hours rest had been allocated, but this was now down to a few minutes. "The law says that we should have an hours rest every five hours of driving, not just three minutes," complained the driver. "Well," said the official, "Sod's Law says you've got two minutes. Better get moving." And he did. Understandably, there was criticism afterwards from many quarters. SWAC dispensed with Mr Bell's services and Ron Evans came in to run the event. At the same time, Castrol stepped in with sponsorship and things took off again after what, looking back, was just a hiccough. The Group B era brought exotic cars and increasing numbers of spectators to the Welsh forests. The entry list was never quite as big again, settling around the 100 mark for the international event — though this was later to swell close to 250 with the addition of a national event and one-make series running concurrently. 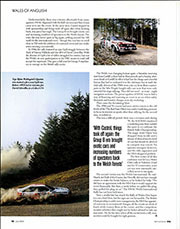 In 1986, the rally featured an epic GpB struggle between the Audi of Hannu Mikkola and the 6R4 of David Llewellin. With the demise of GpB a lot of rallies struggled for entries, but not the Welsh; its non-participation in the ERC meant it could still accept the supercars. 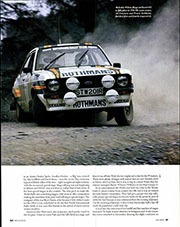 This gave a full year for Group A machinery to emerge on the British rally scene. Then came the devastating blow. The 1990 and '91 events had seen entries return to the old levels of the '70s. But Fram Filters was under marketing pressure to focus its interest on sports other than rallying; for the second time, it withdrew. 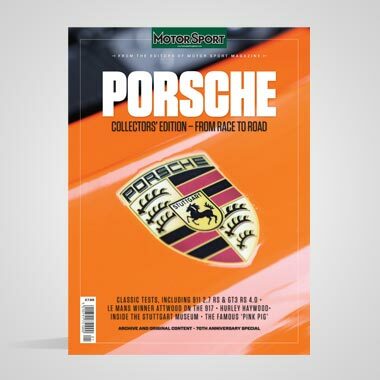 This was a difficult period: there was a recession and, during '91, the RACMSA employed a marketing man from outside the sport to co-ordinate the British Rally Championship. The magic word 'Open' was dropped from its title and a stream of ideas about the kind of cars that should be allowed to compete was voiced. No sponsor emerged, however, and the rally organisers and the MSA disagreed publicly. The first victim of all this confusion was De Lacy Motor Club's rally in Yorkshire: it had run for 35 consecutive years yet was now summarily cancelled, never to run again. The second victim was the Welsh International. 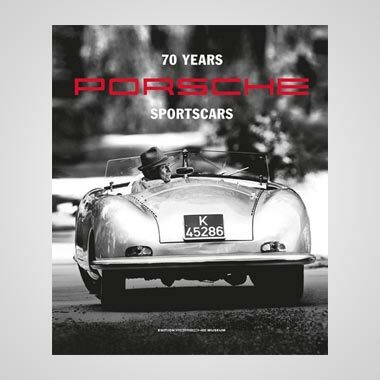 By mid-March, its Clerk of the Course, Ian Howells, did not have enough entries to make the books balance, so he looked for help: "We did have an agreement with the MSA that it would support the event financially. But then, a week before we pulled the plug, they pulled the plug on us." 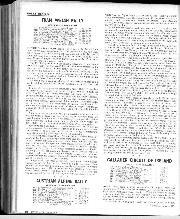 The SWAC Welsh International Rally has not been held since. The South Wales Automobile Club is one of the oldest in Britain. Founded in 1903, it will commemorate its 100 years with an 'evening of entertainment' on Saturday, September 13. A display of winners' cars from the Welsh International Rally will include the very first, Barrie Williams' Cooper S.
All past Welsh International winners are invited. Contact Peter Thomas on WAC@btinternet.com.